ITC Classics: How about some Department S vinyl singles? Edwin Astley was a musical genius! He worked a numerous ITC series over the years and provided many brilliant themes, my favourite of which has to be for the 50 minute episodes of Danger Man. 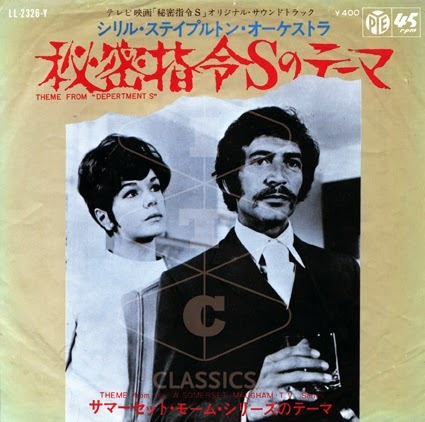 Strangely, not a lot of Edwin's ITC music was issued in the 1960s although Network have addressed this in recent years with their brilliant range of ITC soundtrack CDs and vinyl albums. 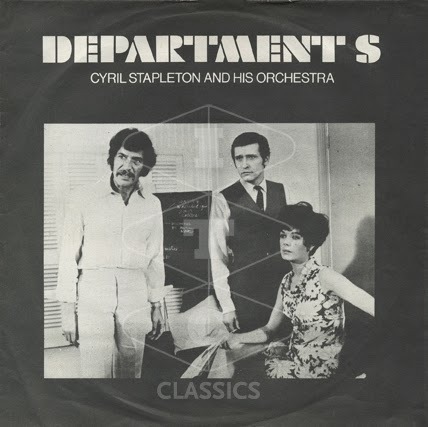 Here are a couple of Department S singles (top UK, below very rare Japanese pressing) featuring Cyril Stapleton's cover version of Edwin's theme. Enjoy!